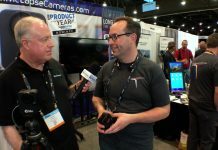 The Road to Macworld comes to an end with a stop to talk to Jim Sherhard of Connected Data, who announces a new Developer Program for the Transporter, their affordable private cloud device. So why is that exciting? Because developers can now build Transporter support right into their apps, and that means that your confidential information can live on your private cloud and sync across all your Macs, iDevices and Transporter without ever having to be in someone else’s hands. With all the privacy breaches and concerns that have become a seemingly daily thing, that’s huge. 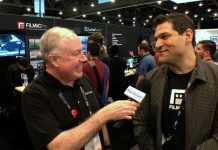 Jim gives us all the details as we wrap up and head for Macworld/iWorld 2014. Jim Sherhart is the Vice President of Marketing at Connected Data, the makers of Transporter and Transporter Sync, the first real alternatives to the cloud for simple and cost effective sharing and collaboration, offsite backup and remote access. You can follow him on Twitter.